I love a good sports romance, so when I saw this was coming out back in 2016, I knew I had to have it. Almost two years later, though, an this book was STILL sitting on my shelves! I finally got the motivation I needed, though, and devoured this book in one day. Ty has lived and breathed Yankees baseball ever since she started to live with her father when she was very young. Everything was easy. She loved the team and they loved her. Until Chase Stern came to play for the team. Chase is a notorious lady's man who is one of the best players in the league. Ty knows she should stay away from him and resist his charm. But she can't. And that one decision changes the rest of her life forever. HOLY COW THIS BOOK. The first 100 pages are pure angst and I was SO FOR IT. I loved how Ty tried so hard not to like Chase, but he was too irresistible. Even Ty's father knew Chase being on the team would affect Ty, but Chase saw something refreshing in Ty and they had such insane chemistry. Then, there was a plot twist and I LOST IT. This book had me feeling so many emotions and I was so invested in this story that I literally could not put it down. The baseball in this book was everything and I loved how involved with the team Ty was. Then, there was the whole murder mystery aspect that was so intriguing and definitely had me surprised at the end. And even with all of the obstacles thrown into their way, I was rooting for Chase and Ty until the very end. While this was a romance, it was also a mystery/suspense novel, which definitely kept me on my toes. If you can't tell, I absolutely LOVED this book and can't believe that it took me so long to read. It had the angst I loved in the sports romance genre that I'm obsessed with. There wasn't a dull moment in this book and it definitely pulled out all sorts of emotions from me! 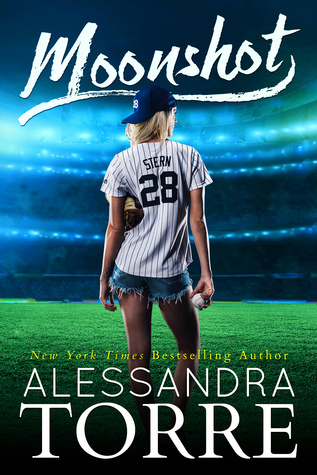 If you haven't had the chance yet, you HAVE To pick up Moonshot! I do not read enough sport romances.